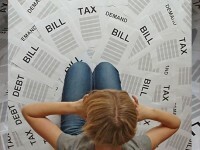 Many times, people just like yourself wait too long to ask about bankruptcy. You can keep your house. You can keep your car. You can keep your personal belongings and your retirement savings. Call Beehive Advocates today and we can answer your questions. To schedule a free initial consultation , call (801) 432-2975 or fill out our contact form today.